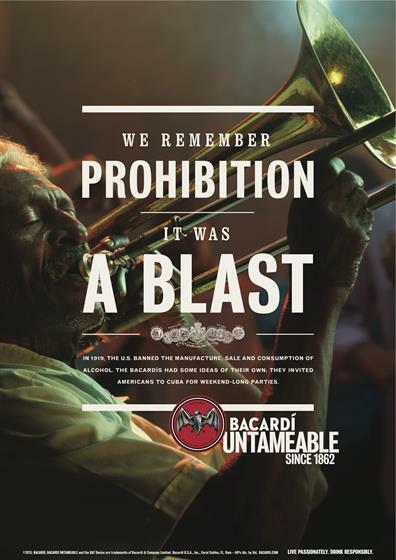 Bacardi is rolling out a new marketing strategy, focusing on the brand's "irrepressible spirit" and its 150-year history going back to 19th Century Cuba. The rum brand is launching a new global campaign based around the line, "Untameable since 1862", along with a new visual identity and typeface inspired by the Cuban Art Deco style of Bacardi’s former sales office in Havana. 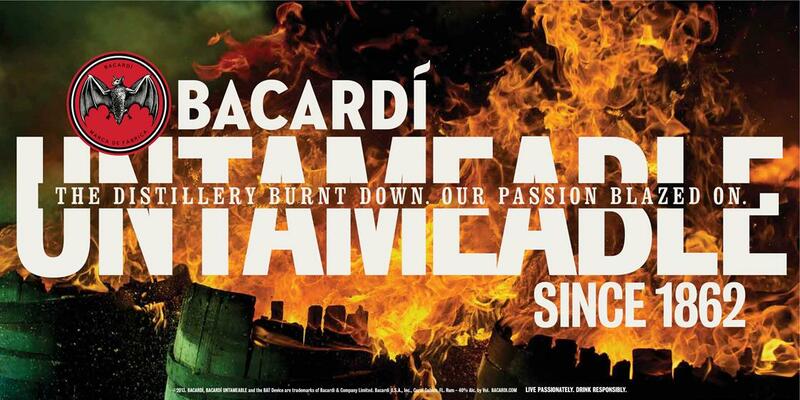 TV, digital and print ads, by BETC London, look to convey the "true grit and determination" which has sustained the Bacardi family though various challenges, including natural disasters, prohibition and exile from Cuba in the wake of the country’s Communist revolution. A global TV ad, called ‘Procession’, shows actor Jordi Mollà walking through different crowds representing historical events, with a voiceover by Harry Potter star Jason Isaacs. In all global marketers, other than the UK, the ad will be soundtracked by Arctic Monkeys hit ‘Do I Wanna Know?’ - watch the global version of the ad here. The campaign rolls out this week in the US and Mexico, with India and Australia in December and other markets in early 2014. Dmitry Ivanov, senior global category director of rums for Bacardi, said: "Bacardi is known for its passionate drive, regardless of circumstance, convention or expectation. 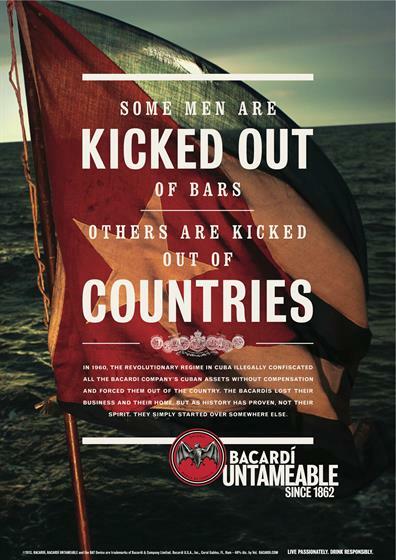 "This campaign ushers in a new era for Bacardi rum, with a deeper focus on its provenance to showcase the unfailing determination of the Bacardi family and invites consumers to share in it. "This idea infuses the Bacardi brand with the authenticity of its origins, celebrates the incredible quality and craftsmanship of our rums and showcases a universally resonant attitude."